One of our goals as a staff here at LSNews.org is to explore some of the bigger issues affecting students at L-S, particularly ones that tend not to be topics of general conversation. 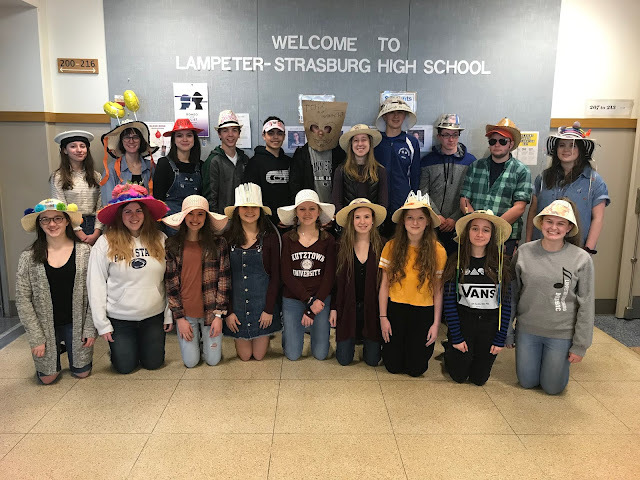 During the course of the year, we will run several series that delve into challenges and opportunities facing Lampeter-Strasburg students. Each series will contain articles, interviews, op-eds, and editorials that explore the subject, and aim to start a conversation that may lead to positive change. With that in mind, the first series will be on a topic that is both prevalent and misunderstood at a national -- and more to the point -- a community level: mental health. Over the next month, we will talk to experts in the field, share resources available to students at L-S, and tell the stories of those deeply -- and in some cases tragically -- affected by the issue. David Johnson, a member of the LSNews.org editorial board and a senior at L-S, has agreed to lead the series, which will kick off next week. If you have any suggestions as to story ideas, angles to explore, or anything else, please do not hesitate to email us at lspioneernews@gmail.com. We look forward to exploring this important issue.